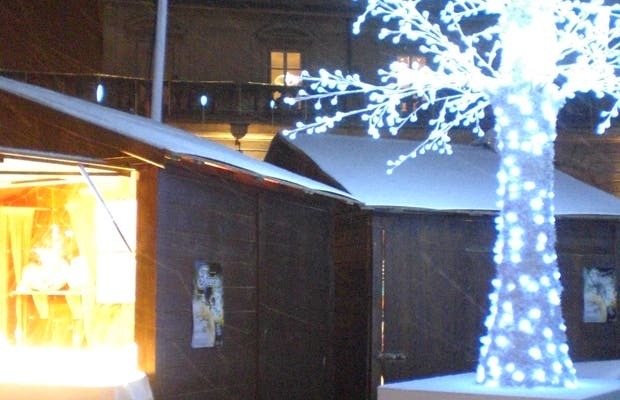 Dijon's Christmas market is beautiful, despite its small size, everything seems magical with lights and illuminated trees. It is installed in the Plaza de la Libération, in front of the Palace of the Dukes of Burgundy. There are a dozen small wooden stalls, serving food from the region. You can eat delicious sandwiches, accompanied by mulled wine or chocolate. Do not miss the pain d'spices, bread served with spices in the shape of a saint or animals of Bethlehem. Sometimes they can be hung on the Christmas tree. Besides the gourmet shops there are also souvenir shops, handicrafts from distant countries, and fair trade shops.